The video of the “Vector editing, 3D view and other tools in gvSIG” webinar, the second one of the “Introduction to gvSIG” summer webinars cycle is now available. If you haven’t been able to follow it, you can watch it now at the gvSIG Youtube channel. 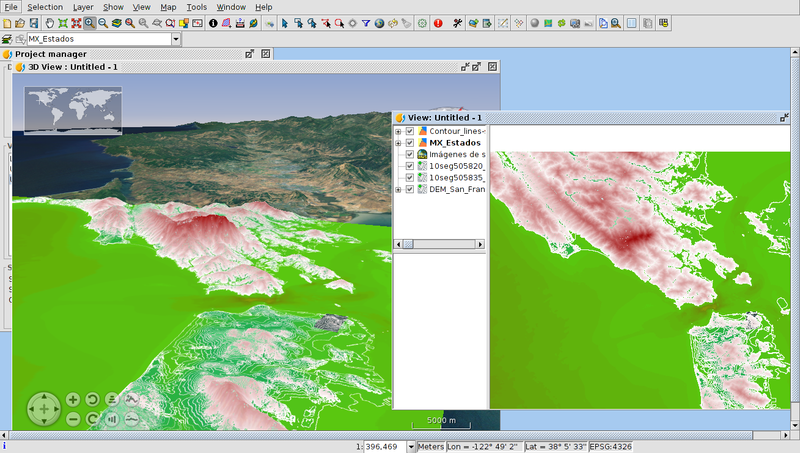 At this webinar you can learn how to edit vector layers in gvSIG and use geoprocessing tools. You also will be able to see how to export the elements of a vector file in gvSIG to KML format and load it in Google Earth. And finally you will learn about the 3D extension and how to use it. If you want to follow this webinar now, and do the exercises, you can download the cartography: Editing exercises, 3D View extension exercises. You can download gvSIG from the project website. You also can see the video of the first webinar, “Getting started with gvSIG”. This entry was posted in english, events, gvSIG Desktop, training and tagged 3D, DEM, editing, Geoprocessing, Google Earth. Bookmark the permalink.